As Episcopalians we believe in a loving, liberating, and life-giving God: Father, Son, and Holy Spirit. 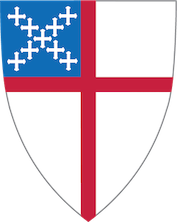 As constituent members of the Anglican Communion in the United States, we are descendants of and partners with the Church of England and the Scottish Episcopal Church, and are part of the third largest group of Christians in the world. Liturgy is the term for the church's sacramental rites and texts used in public worship. In An Episcopal Dictionary of the Church (Church Publishing, 2000), Don S. Armentrout and Robert Boak Slocum explain that "liturgy expresses the church's identity and mission, including the church's calling to invite others and to serve with concern for the needs of the world."